I've found that if you set out to find a particular shape or color it will magically appear. Part of this is just being receptive to whatever you are looking for. Then you begin to see what may have been there all along. We might find a heart carved into an antique dresser, forged into wrought iron gates or lying in a creek bed in the form of a smooth pebble. 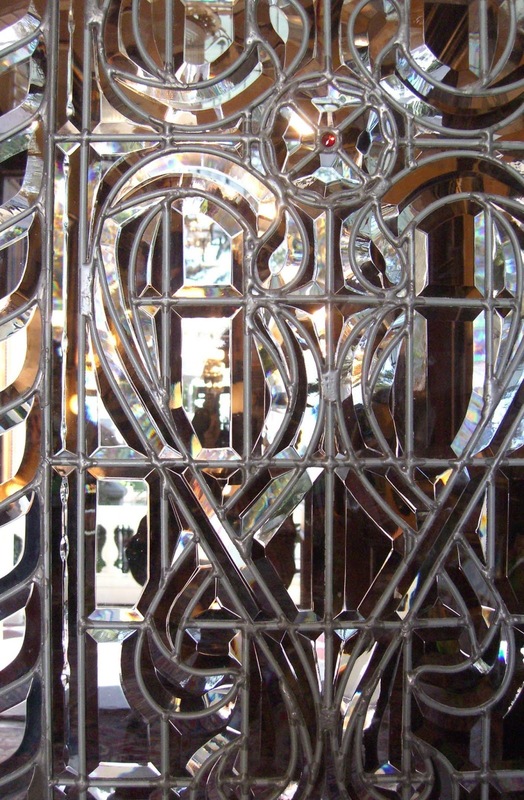 In Charleston, SC, hearts intertwine in the leaded glass doors of the Calhoun Mansion. They bend the light and scatter tiny rainbows on the walls and floor. 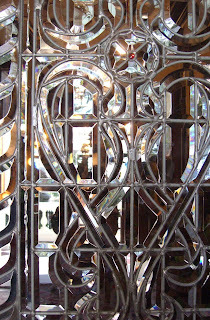 It's like walking into and out of a Victorian valentine.